The victorious Clare intermediate hurlers at the Gaelic Grounds in Limerick on Wednesday evening. Photograph Arthur Ellis. 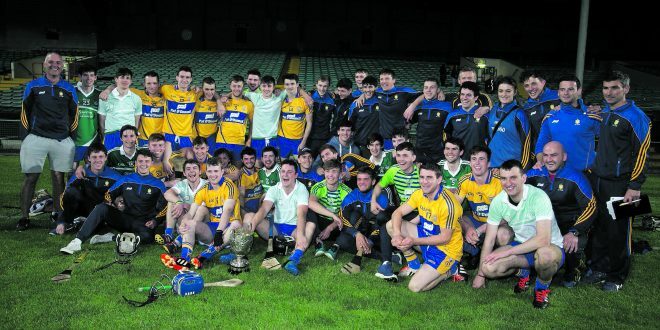 CLARE bridged a five-year gap when they were crowned Munster intermediate hurling champions at the Gaelic Grounds in Limerick on Wednesday evening. The game saw good scores, bad misses and sending-offs but, after extra time, Clare emerged as deserving winners and Shane McGrath accepted the cup from provincial council chairman Cork’s Jerry O’Sullivan. 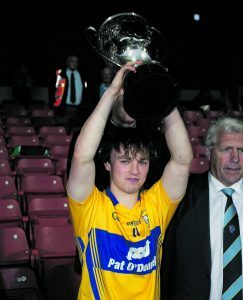 Captain Shane McGrath lifts the cup. 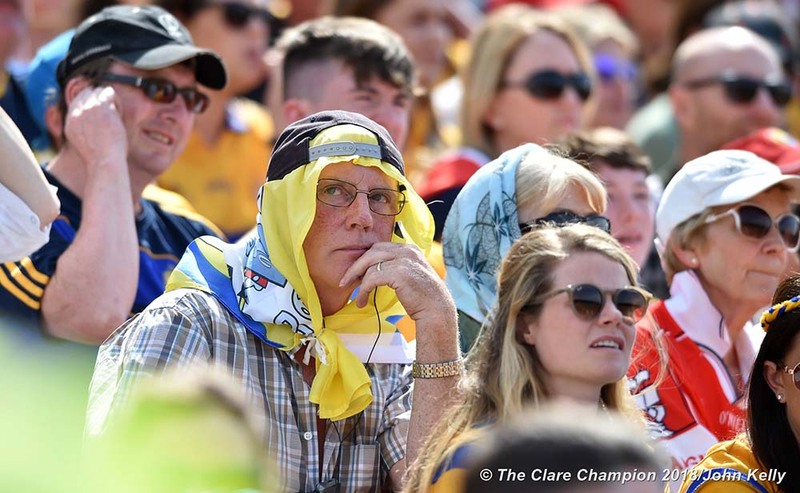 Clare dominated the extra time, showing greater levels of fitness and they now look forward to an All-Ireland final date against the Leinster champions, Wexford or Kilkenny, who clash next week. The All-Ireland final is set for early August. With a big sprinkling of U-21s in their line-up, there will be concern as to how much this tie will have taken out of Clare ahead of their eagerly awaited Munster U-21 Championship semi-final date with Waterford next week. Clare survived the final 20 minutes of normal time being a man short, after Dara Walsh picked up two yellow cards in the space of a minute. Paddy Fitzgerald from Bodyke came into the team for extra time in place of the suspended Walsh, bringing Clare back to a full complement of 15. A minute from the end of extra time, they were down to 14 again when substitute Shane Taylor, on the field for just over a minute, was shown a red card. Rory Hayes saved the day for Clare when he fired over the equalising point in the second minute of injury time at the end of the 60 minutes. A minute earlier, Limerick captain Mark Carmody, also a defender, had put the Shannonsiders ahead and it looked like his point would prove decisive but 14-man Clare refused to give in and Hayes came forward, took a pass from Michael O’Neill and scored. It was a ding-dong affair in which both sides got some good scores and, equally, were guilty of some bad misses. Clare went two points up twice in the second half but conceded some soft frees, which allowed Limerick back into contention. The lively first half finished with the sides on level terms but Clare have reason to be a little disappointed that they weren’t ahead. They clocked up nine wides in the opening period, while they conceded a goal in the final minute of the half when they allowed Pat Ryan to solo at least 40m before he blasted to the net. Limerick may argue that they could have had a few more scores in that opening half, as the normally very accurate Ronan Lynch failed to find the target from a few placed balls. It was Lynch, man of the match in their U-21 first-round win over Cork the previous week, who opened the scoring in the first minute but Clare hit back almost immediately, with Shane McGrath landing the levelling point. 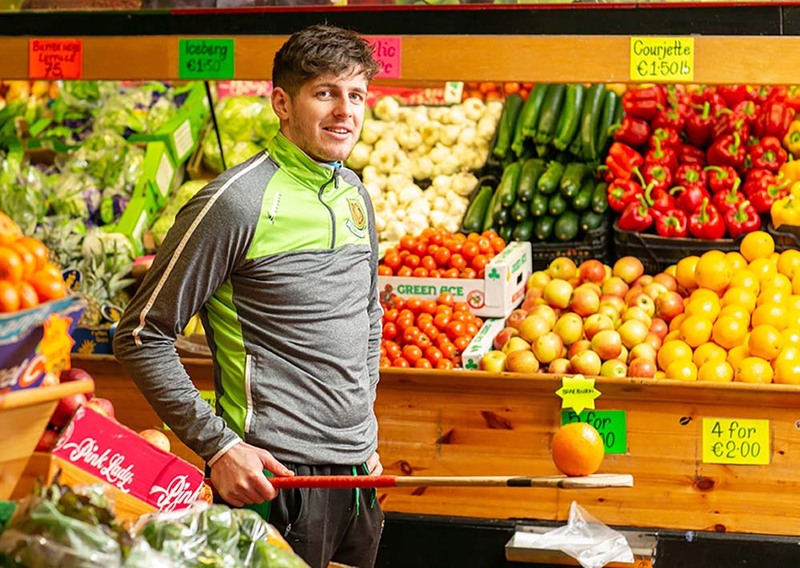 McGrath and Oisín Donnellan followed with points, as Clare opened a two-point lead. It was 0-4 to 0-3 for Clare when the Banner side struck for the game’s first goal in the 10th minute, Oisín Donnellan shooting low past Eoghan McNamara. Kevin Hehir followed with a point and Clare were five clear with just 12 minutes played. As the first quarter drew to a close, the home side had a great goal chance but Daniel Vaughan in the Clare goal made an excellent save from Aaron Gillane. However, he could do nothing four minutes later to prevent Gillane’s effort from entering the net for Limerick’s first goal, after the Clare defence left him unmarked. Clare’s Michael O’Neill battles with Mike Casey and Andrew La Touche Cosgrave. Clare hit back with points from David Conroy and Ryan Taylor (2) to go four clear with half-time approaching but another slip-up by the Clare defence was punished when Pat Ryan burst through for the Shannonsiders’ second goal at the end of normal time. The game was in injury time when Ronan Lynch’s effort was signalled as a point after the umpires and referee consulted. Clare hit the first two scores of the second half through Shane McGrath and substitute Shane Gleeson but a brace of Ronan Lynch points from close-in frees had the teams level after nine minutes. Walsh’s sending off followed and Clare went back in front at the midpoint of the half, when Shane McGrath converted another free. Limerick hit back and they were a point ahead with eight minutes remaining before Clare points from Shane Gleeson, Michael O’Neill and Danny Russell pushed the Banner men two clear with four to go. Limerick hit the next three, with Carmody’s effort looking like it would prove the winner until Rory Hayes came up field to level matters for the seventh time. At the end of the first period of extra time, Clare held a four-point lead with the score at 1-22 to 2-15. Good scores from Shane Gleeson (2), David Conroy (2), Ben O’Gorman and the hard-working Michael O’Neill helped Clare to open that four-point lead. They continued to hold the upperhand in the second period, when they outscored the home side by a point, helped by goalkeeper Daniel Vaughan, who made an excellent stop from Lorcan Lyons three minutes from the end. Clare: Daniel Vaughan (Tulla); Rory Hayes (Wolfe Tones), Eoin Quirke (Whitegate), Ciaran Cooney (O’Callaghan’s Mills); Dara Walsh (Éire Óg), Aidan McGuane (Kilmaley), Jason McCarthy (Inagh-Kilnamona); David Conroy (St Joseph’s), Kevin Hehir (Inagh-Kilnamona); Oisin Donnellan (Feakle), Shane McGrath (Feakle, captain), Darragh Corry (Tulla); Colin Crehan (O’Callaghan’s Mills), Ryan Taylor (Clooney-Quin), Michael O’Neill (Kilmaley). Subs: Shane Gleeson (Cratloe) for Corry (half-time); Ben O’Gorman (Wolfe Tones) for Donnellan (43 minutes); Danny Russell (Éire Óg) for Taylor; Mark Lynch (Tulla) for McGrath (58 minutes); Michael O’Shea (Smith O’Brien’s) for Crehan (79 minutes); Eoin Enright (Kilmaley) for Hehir (75 minutes) and Shane Taylor (Broadford) for M Lynch (78 minutes). Scorers: Shane Gleeson (0-7); Shane McGrath (0-5); Oisin Donnellan (1-1); David Conroy (0-3); Ryan Taylor, Michael O’Neill, Ben O’Gorman (0-2 each); Kevin Hehir, Rory Hayes, Jason McCarthy, Danny Russell (0-1 each). Bookings: Kevin Hehir (32 minutes), Dara Walsh (39 and 41 minutes), Shane Gleeson (46 minutes), Aidan McGuane (58 minutes), Rory Hayes (62 minutes), Ciaran Coney (74 minutes). Sent off: Dara Walsh (41 minutes) and Shane Taylor (79 minutes). 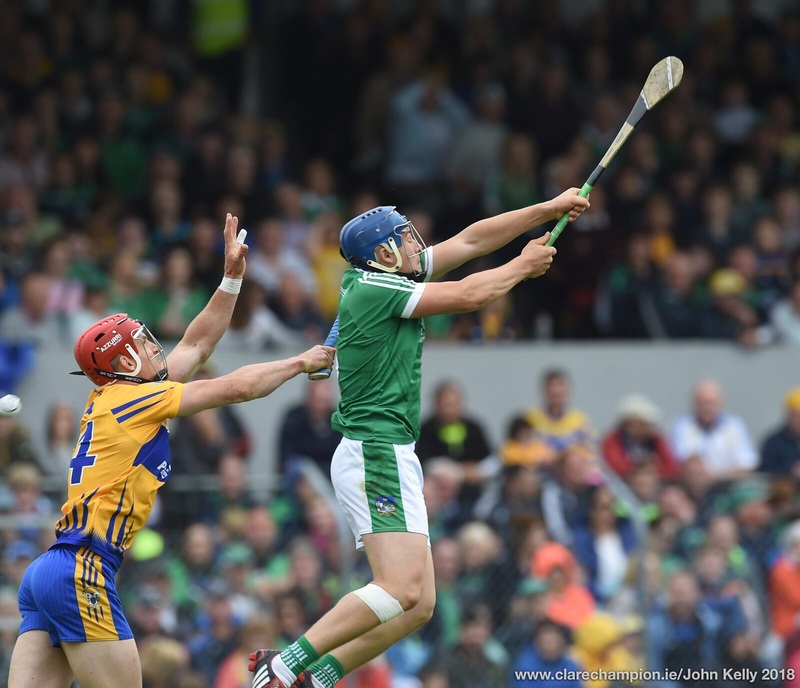 Limerick: Eoin McNamara; Mike Casey, Barry Lynch, Sean Flanagan; Mark Carmody (captain), Ronan Lynch, Colin Ryan; Lorcan Lyons, William O’Donoghue; Andrew La Touche Cosgrove, David Dempsey, Pat Ryan; Aaron Gillane, Kevin O’Brien, Peter Casey. Subs: Oisin O’Reilly for K O’Brien (44 minutes); Barry Murphy for P Ryan (55 minutes); Willie Griffin for Gillane (extra-time); Mike Fitzgibbon for R Lynch (64 minutes); Pat Ryan for O’Donoghue (70 minutes) and Darragh Fanning for P Casey (70 minutes). Scorers: Ronan Lynch (0-6); Aaron Gillane (1-2); Willie Griffin (0-3); Pat Ryan (1-0); Barry Murphy (0-2); Lorcan Lyons, Mark Carmody, David Dempsey, Andrew La Touche Cosgrove, Kevin O’Brien (0-1 each). Bookings: Mark Carmody (79 minutes). THE Clare intermediate panel and management didn’t exactly go wild around the Gaelic Grounds following their first win at this level since 2011. However, there was a clear sense of satisfaction from everyone involved at getting their hands on the bizarrely-titled Sweet Afton Cup. Selector Seanie McMahon was delighted to see the fortitude shown by Clare, particularly as they had to hurl for the last 20 minutes of the second half with just 14 players. “The second half of normal time was a fantastic display by the lads. They hurled fantastically and battled bravely. That was what we were looking for first and foremost. We never doubted we’d get it but they had to do it and they did it. They really kicked on then in extra-time, when we were back to 15 players,” the St Joseph’s Doora-Barefield man said. He acknowledged that Clare looked much the fresher team as extra-time wore on. “They’re in great shape. They have an awful lot of work done and it’s for this time of year all of the work was. They looked really good in extra-time. They really kicked on and the great thing was we got a contribution from everyone. We have a lot of U-21s but we have six players who are over 21 and they all played a part in a big way, outside of even today. They are a huge boost to our overall plan and we all train together. There are a lot of U-21s in it and a game like tonight will hopefully stand to us for another test next week,” Clare’s legendary centre-back added. Meanwhile, Kilmaley’s Mikey O’Neill banged over two points from play and generally looked very busy. He was delighted to get his hands on a Munster medal. “Brilliant. I’ve been involved in the U-21s and intermediate for a couple of years and this is one we have always aimed to win. Thankfully, this year, we pulled through. 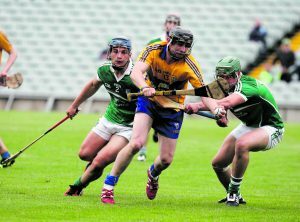 We have a good squad of players and everyone worked seriously hard,” the Clare attacker said, adding that they had to work exceptionally hard to win it. “It was tough going. You wouldn’t realise how big the field is until you were out there playing. Every player there showed what they could do. The tackling that we do at training and the work rate is just phenomenal. You’re constantly looking to keep your jersey and it’ll be the same again for the final. We know when the pressure came on that we’d be able for it. We backed ourselves. Any player that came on was just as good if not better. Look at Shane Gleeson. He was borderline man of the match,” O’Neill noted.